We've reviewed a lot of speakers lately and you've been asking us about amplifying speakers. It is time for us to deliver. 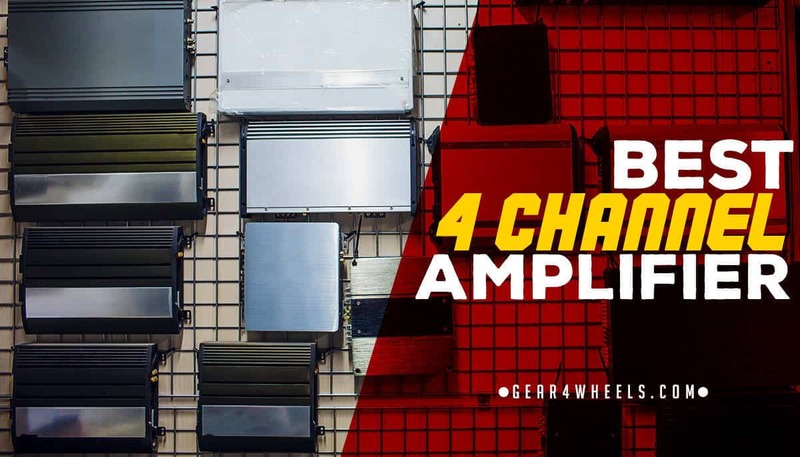 We've tested the best 4 channel amp from every tier 1 car audio brand during the course of the last 3+ months and we're pretty much positive we've found which ones are the best. On the table below is a comparison among the 3 best performing 4-channel amp series. These are all 4 channel amplifiers, the best ones if you want to power a pair of speakers placed on the front doors and another pair on the back. Good quality aftermarket speakers can blast really loud if they get the RMS they deserve, so definitely a smart investment! Enhanced Sound Quality: By adding an amplifier you can enjoy a much cleaner, crispier sound at all volume levels. The external amplifier takes the clean pre-amp signal of your car stereo and amplifies it to the optimal level of RMS your speakers need, without adding further distortion to the signal. Power ﻿your Aftermarket Speakers﻿: If you decide to upgrade your factory system with some high-quality speakers, you will be sad to discover they won't sound good just with the signal your car stereo gives. You need to feed your brand new speakers with an amplifier so they get the RMS they were designed for if you want them to really sing. You can learn more about RMS at the end section of this article. Amplifying a Subwoofer: Even a small 8" subwoofer will need way more than what your factory stereo can give. Some powerful 4 channel amps will do good if you bridge 2 channels to power a small subwoofer but in general terms, subs need a lot of power. In most cases, you'll need a separate monoblock amplifier to power them properly, or you could also go for a five channel amp in this case. Let's be clear. There are hundreds of amplifiers on the market and that means, as always, that there's a lot of garbage products out there that are just a waste of money. Brands like Boss or Pyle are incredibly cheap, both in price and quality. After testing 50+ 4-channel amps, we've selected just four lines of amplifiers from the top three brands: JL, Rockford Fosgate and Hifonics. There is a grand total of eight 4 channel amps, so every budget will find a great amplifier, and for any power needs you may have, you will find a great quality amplifier that gives just what you need. No filling, no "good" or "OK" amps. Just the best. For us, there isn't any better 4 channel amplifier. Of course, there's Audison but from our experience, the difference is minimal and they're so stupidly overpriced we won't even talk about them. JL offers outstanding quality, great power output, lowest distortion levels and yet keeps the price on a reasonable term. Features: State-variable, 12dB/octave Butterworth with continuously variable cutoff frequency selection from 50-500 Hz. Configurable as Low-Pass or High-Pass. Defeatable. 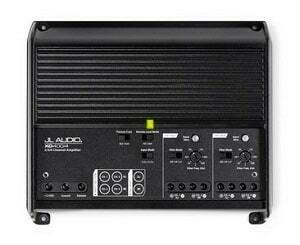 The amplifier is extremely well built and the finish is impeccable. It has a lot of fantastic design details, such as the wires being secured with allen screws instead of flat or phillips, which allows you to tighten them down harder without stipping the screw heads as I have sadly (and embarrasingly) done a thousand times. 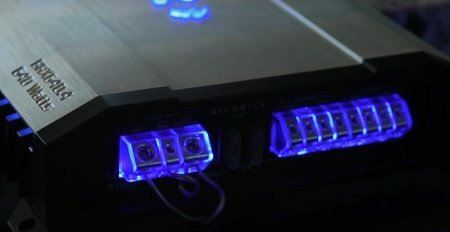 The controls of this amp are hidden underneath a cover which gives it a cleaner look, and the wire connections are all on the same side, making installation easy. We've tested this amplifier with four of our favorite 6x9 speakers, the Rockford Fosgate R169X3 rated @ 65W RMS at were EXTREMELY satisfied with the consistent power output, the crispiness of sound and amazed at the fact that such a small amplifier could feed that power and not overheat the slightest bit. With the size, it is great to fit under any car's seat and will work brilliantly. The only downside we can find to this amplifier is the price, which sadly won't fit every budget. At a much more attractive price, the Rockford Fosgate R series come with three different power outputs. The overall quality of this amplifiers is outstanding, way above the average on their price bracket. The overall feeling of the materials and build is just superb. These amps come with plenty of features to customize your sound, so take your time and do some tests when you install them to make sure you get the best sound out of this great amplifiers. We would give it just 3* on heat dissipation. It isn't bad, but these amps do get warm. They don't come with a cooling fan so that's probably the reason. For an under-seat amp, we would rather go for the Punch or the JL. As a first highlight of this amplifier, we find Ultira High-fi MOSFET inside it. It makes the amp power-efficient and reduces distortion to insignificant levels. Whilst amplifiers do not play a massive role on Sound Quality by themselves, they do if they produce additional noise, which isn't at all the case. The outside shell is made of aluminium alloy, which acts as a heat sink improving cooling. This is great, as the amplifier will last longer and you will enjoy great sound for good years. It is retro-illuminated with LED light that adds some swag to the looks of the amp. A LED pilot will flash green if everything works as it should and red if there is any kind of short circuit that could damage the internal components. To ensure nothing goes south in that case, the amplifier has a 3-way protection circuitry that includes thermal overload auto shut-off to protect both amp and speakers. These 4 channel amps are in no way 1ohm stable. Do not wire them @1 ohm because they fry within seconds. We've found thats the most common cause for user complaints on this amplifiers. The most powerful version of this amplifiers will ask a lot of your car battery, so upgrading your battery for a better one or adding an auxiliary battery is a great choice. Great RMS levels with 0 distortion. Most powerful models get warm when pushed to the max. This is one of the smallest 4 channel amplifiers we've seen. With 300watts output, it fits everywhere. It is a great choice for motorcycles and ATVs. It fits inside the dash so if you want to have it close to the radio it works perfect. This supersmall amp is so small it fits in your hand, yet delivers some good 75w RMS @4ohms which will power the immense majority of aftermarket speakers out there. A fantastic choice for those with reduced budget aswell, since it is priced quite low. Thanks to the aluminum heat sink, heat is never an issue regardless of how much juice you extract out of this little boy. The biggest and most obvious downside is that it is only 4 ohms stable and it can't get bridged. It is specifically meant to power separate speakers only. These were the best 4 channel amps we've tested so far during 2017. Hey Sir, wanted to know what’s a good amplifier for (4) Pioneer TS-A6995s 6×9 600W 5-way coaxial speakers? Was looking at the Pioneer GM-6704 1000W 4-channel amplifier. Will that suffice? Or do you think I should go with a different amplifier? Looking forward to you feedback!! The GM-6704 will be sufficient for the Pioneer speakers you mentioned however I am always a little wary of amps that say 1000 watts on the box but in reality only put out 60 watts RMS per channel. What vehicle are you installing them in and what’s your price range? I would probably recommend different speakers and amp but if your price range is on the low end you’re probably best off just going with the Pioneer setup.